Everyone is talking about the ELD mandate that goes into effect this December or potentially delayed to Spring 2018. From my perspective, the discussion centers on who will be compliant and who will not. We should be talking about how this simply enforces the Hours of Service (HOS) and its inane “one size fits all” solution that is bad for the industry. To determine safety based just on the number of hours a driver is on duty and not take into account miles driven, conditions, places to park, loading/unloading procedures, experience of the driver, cross-country vs local deliveries and a host of other variables leads to a system that is unfair to the small cross country drivers who need some relief from the “system”. Hours of Service needs to be changed and the ELD mandate will only make the faulty HOS that much worse. The biggest flaw in this system is drivers and carriers are compensated based on miles traveled, as almost every load booked has the revenue broken down into what the load pays per mile, but the compliance mechanism is based on HOURS in service. This will lead to drivers pushing harder to cover more miles in the allotted hours. This could lead to roads being less safe as drivers will be pushed to their limits. But the regulators know better right? It turns out they do not. The FMCSA has been a terrible failure. The unintended consequences of their regulations have made the highways less safe. Just this past year highway deaths in crashes involving trucks have gone up 5.4%. This is a huge jump. After the FMCSA enacted their CSA safety program intended to make the highways safer, the steady decline of deaths on the highway per miles driven has reversed and we see a continual increase. CSA made a driver with 5 million miles in the driver seat but with some tickets or log book violations less valuable to a trucking company than a new driver with no violations. No consideration was made for the driver that had 5 million miles without an accident. The regulations made the driver with 5 million safe miles the enemy along with many of our best drivers in the industry. Now the same situation is happening with ELDs. Experienced and safer drivers will leave the industry as they are displeased with the government regulators trying to control every little thing they do on the road. Less experienced drivers will push harder to “make their miles” based on the hours left on their ELDs. At a minimum, the ELD mandate should be delayed until HOS regulations are improved and more discretion is given to the professionals driving the trucks. 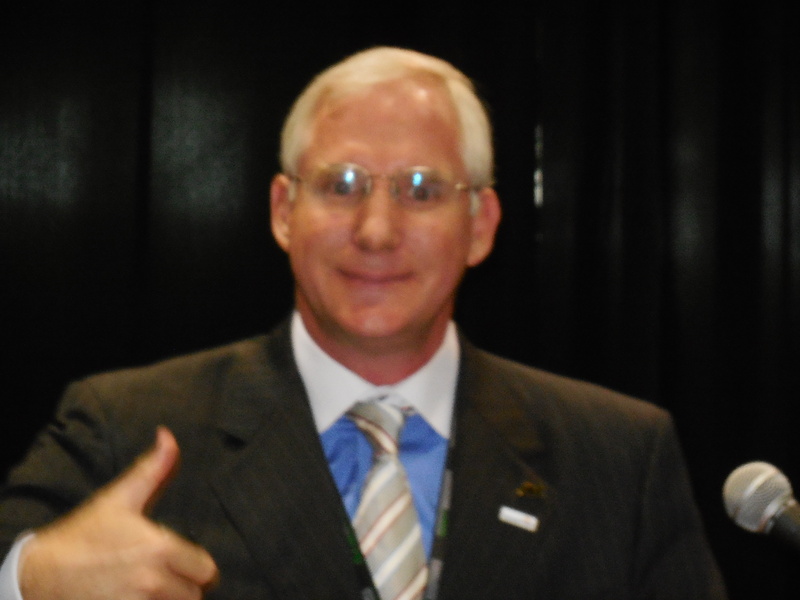 Kenny Lund graduated from Loyola Marymount University with a degree in Business Administration and managed the refrigerated transportation division in Los Angeles for eight years, before shifting full time into managing the Information and Technology Department in 1997; becoming the Vice President of the department in 2002. In 2014 Kenny started working with the ALC Logistics division to sell the ALC Transportation Management System (TMS) to companies that manage refrigerated and dry transportation. Reprinted from ALC’s Carrier Connection, October 19, 2007, Issue #164. President Barack Obama signed on December 16 the appropriations bill that halts enforcement of the requirement that a drivers’ 34-hour restart include two 1 a.m. to 5 a.m. periods and the once-per-week limit of the restart. Though the Federal Motor Carrier Safety Administration is required by the law to produce a Federal Register notice to alert drivers, enforcers and other stakeholders of the change, the stay of enforcement is now legally in effect, meaning truck operators no longer have to abide by the restart provisions put in place in July 2013. Aside from the suspension of the restart provisions, however, the law requires the FMCSA to study the rules’ impacts on drivers, carriers and safety. The agency must present a report to Congress concluding the rules boost safety before the restart provisions can go back into effect. Congress is requiring the report study provide data that determines whether or not the 2013 restart provisions can provide a greater net benefit for the operational, safety, health and fatigue impacts they cause. To gain the necessary data, the FMCSA will have to study two groups of drivers that are “each large enough to produce statistically significant results, according to the bill. One group will operate under post-2013 restart provisions and the other under pre-2013 restart provisions. The study must be conducted for at least five months with the FMCSA comparing the two groups based on safety critical events — crashes and over fatigue levels of drivers. Throughout the entire process, however, the Department of Transportation’s Office of the Inspector General must keep tabs on the agency to ensure the methodology used in the data collection is appropriate and the panel to review the study is qualified. The FMCSA must initially submit a report to the DOT’s Office of the Inspector General within 60 days of the bill signing (December 16), outlining how it plans to execute the study. Within 30 days of receipt of the report, the OIG must report back to the agency and House and Senate committees with any changes. After receiving the OIG’s recommendation, the FMCSA then has up to 210 days to produce its final report based on its research. The agency must also make its report available to House and Senate committees and post it online. The OIG must review the report and within 60 days tell the FMCSA and Congressional committees if the agency complied with the requirements of the funding law. Only after it addresses any concerns of the OIG — and if it concludes the restart provisions enhance safety — would the FMCSA be cleared to enforce the 2013 restart rules again. Changes in federal hours of service regulations, along with stricter rules by the California Air Resources Board (CARB) are two primary reason refrigerated produce loads have increased this year by as much as 10 percent, according to DAT Solutions, a load board network based in Beaverton, OR. Over 99 million transactions annually and bases rate estimates on $24 billion of freight bills, according the DAT website, and bases rate estimates on $24 billion of freight bills. The hours-of-service changes require drivers to stop for rest breaks more often, meaning it takes longer to reach destinations such as distribution centers, many of which were located years ago based on drive times allowed under the old regulations. Some (truckers) have gone to a relay system where the first one drives so far, then another driver picks up the trailer and takes it on. The downside, particularly with temperature-sensitive loads like produce, is that you don’t have the continuity of one driver taking care of the load for the whole trip,” Montague said. Higher rates also are attributed to the tightening rates emissions regulations by CARB, which apply not only to trucks picking up and delivering produce in the state, but those merely driving through California. It was in early June that truck broker Kenny Lund saw the spot market on produce freight rates hit $10,000 for loads between California and the East Coast. While part of the reason was seasonal volume increases for fresh fruits and vegetables, and truck availability, he saw other factors contributing to the rise in rates. Lund was speaking at the 2014 convention and exhibition of the United Fresh Produce Association in Chicago June 11th. The vice president, support operations, for the Allen Lund Co. Inc. of LaCanada, CA cited the recently completed 72-hour U.S. Department of Transportation check points held across the country. This was delaying truck schedules. Another factor was the CARB (California Air Resources Board) regulations, which Lund said were resulting in more truckers refusing to come to California. 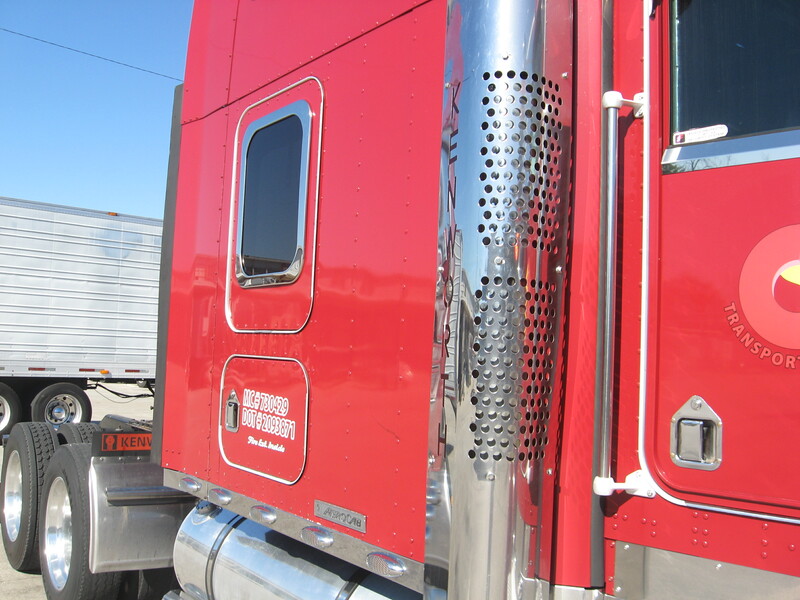 It takes a minimum investment by truckers of $8,000 to comply with CARB regulations. He noted less than 30 percent of refrigerated carriers are compliant with CARB and truckers simply do not have the money to become compliant. In an effort to assist produce haulers, he noted Allen Lund Co. provides $1.5 million a week in advances to drivers. Lund, who has been with company founded by his father and namesake 25 years, said there were over 50,000 carriers in the United States, but the average trucking company has less than six trucks. “90 percent of the trucking companies have six or less trucks,” he noted. At the same time the percentage is very low of trucks having team drivers. Getting more specific, Lund said refrigerated carriers are dominated by owner operators and companies with less than five trucks. As for CARB, Lund said he has “fought tooth and nail with them” (California bureaucrates). Since the CARB rules were implemented in 2004 fines have been extended to brokers, shippers, receivers and specifically to drivers. “It (CARB rules) has driven a lot of drivers away from California,” Lund stated. He also was critical of hours-of-service regulations, and particularly the 34-hour restart. 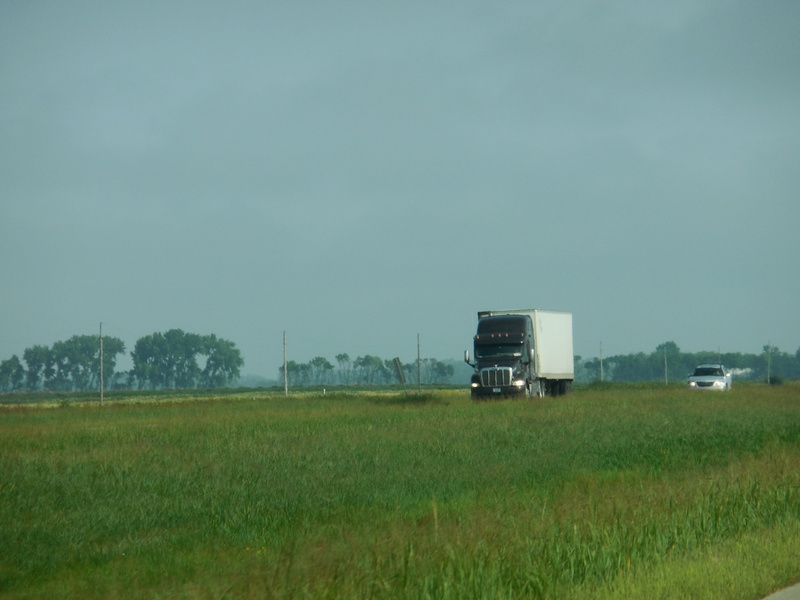 While the restart requirement may be okay for local trucking, it is not good for long haul drivers. During a question and answer session, Lund said the reason more large refrigerated carriers do not haul produce is because “it comes down the driver having a stake in that load. I see a lot of large carriers get in and out of hauling produce. It comes down to not having enough good drivers,” Lund concluded. Changes in federal hours of service regulations, along with stricter rules by the California Air Resources Board (CARB) are two primary reasons refrigerated produce loads have increased this year by as much as 10 percent, according to DAT Solutions, a load board network based in Beaverton, OR, as reported recently in The Packer, a weekly national trade newspaper. Over 99 million transactions annually are made and company bases rate estimates on $24 billion of freight bills, according the DAT website. When you are headquartered on the East Coast near much of your customer base, but about one-half of the nation’s fresh fruits and vegetables are grown and shipped from California, the 3,000-mile hauls can present additional challengeover shorter runs. But when one adds the challenges of dealing with federal and state mounting regulations, it just makes doing business more difficult. 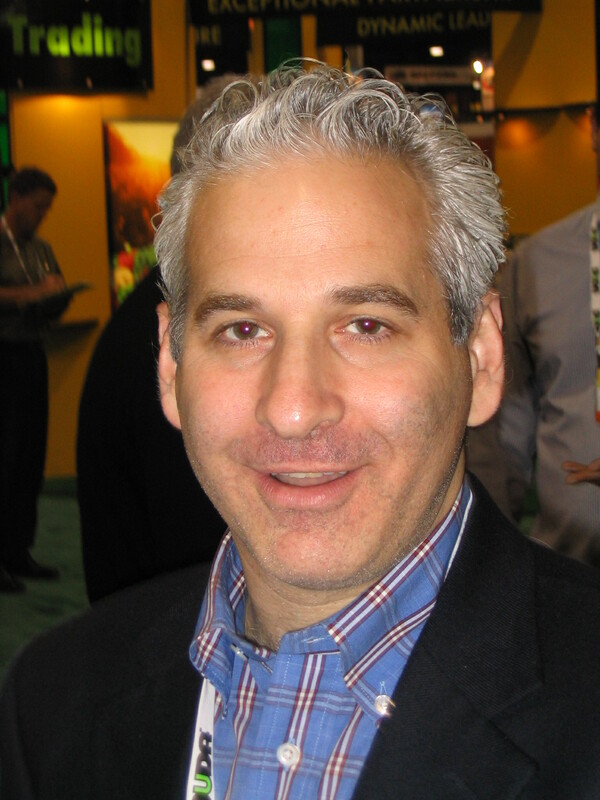 Rob Goldstein is president of Genpro Inc. of Newark, NJ and arranges loads of fruit and vegetables from various shipping points around the country, including California. Because of the ever changing and increasing number of rules and regulations, he maintains more team drivers are needed on the road to help meet delivery schedules. As an example, Goldstein cites the changes in the hours of service rules last July, which in effect reduces the amount of driving time a trucker can legally perform. On the state level, Goldstein references the California Resources Board (CARB) rules as a hinderance to trucking. That is a reference to CARB requiring trucking equipment be retrofitted when it reaches seven years old. As owner operator Henry Lee of Ellenwood, GA says, it will cost him $10,000 to replace the motor on his Thermo King SB-310 reefer unit, to meet the CARB requirements. Genpro works with a mixture of owner operators, small fleets and carriers. Goldstein says the average size of fleets they work with is about seven units. Troy Pecka has been in the trucking business for nearly a quarter of a century and has pretty much seen it all, or at least come fairly close to it. 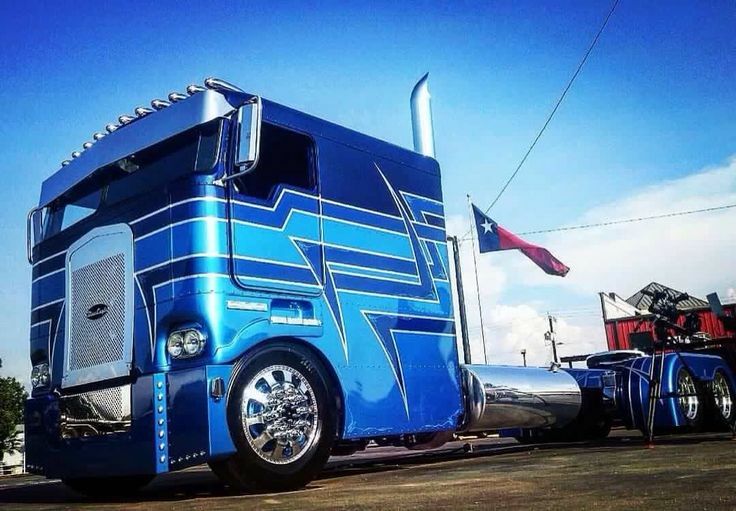 There is something to be said for someone who started out trucking out as a 19-year-old, and now owns his own small fleet at the “ripe” old age of 43. The owner of Troy Pecka Trucking Inc. doesn’t have the time to get behind the wheel of a big rig anymore as much as he’d like, in part because he’s dealing with all the rules and regulations to keep the drivers of his 15 trucks and three leased owner operators doing what they do best – truck. Troy is following in the footsteps of his dad who started trucking at age 18 and didn’t stop until his was 76. Troy’s small fleet, based in East Grand Forks, MN, specializes in hauling a lot of loads of frozen foods and fresh red potatoes to the Southwestern and Southeastern USA. Return trips lean heavily towards mixed fresh produce going into Edmonton, Alberta. When asked what rules and regulations in trucking he disliked most, Troy would not commit to any particular ones. “All of these things increase your cost of operation,” he notes. There could be the refusal of the Federal Motor Carrier Safety Administration (FMCSA) to delete inspection reports from a driver’s record, even after that driver is found not guilty by the courts. Or how about the FMCSA’s flawed enforcement program in CSA’s Safety Management Systems. There have been reports of safe drivers being listed as unsafe in the system. Another example, could be the Federal highway legislation passed last July. It calls for the FMCSA to require electric on-board recorders (EOBRs) in all heavy duty trucks. Many in trucking are concerned it will lead to driver harrasment by authorities. This could involve electronic recording of a driver’s hours of service, vehicle location (through a GPS), with information available to law enforcement. It is examples such as these which makes it more difficult to get good qualified drivers. He says the older drivers are leaving the industry and there are not nearly enough young drivers coming on board. After all, long haul trucking certainly is not an 8 to 5 job. Despite all the government red tape, Troy still enjoys the business. He just doesn’t have the time to truck as much as he used to, although taking command of one of his big rigs to someplace like Fargo isn’t out of the question. “I just can’t get it (driving) out of my blood,” he states. One of his favorite trucks (pictured) is a 2007 red conventional Kenworth. It houses a 475 hp Caterpillar diesel, riding on a 260-inch wheelbase with a 13-speed transmission. He also like the 72- sleeper featuring all the amenities. It pulls a 53-foot Utility trailer housing a Thermo King reefer unit. Kevin Bowling has been trucking since 1986, but his truck is now sitting at his home in Tampa, FL and he is driving for a large fleet. The 44-year-old former owner operator says he parked his truck because of poor economic conditions and excessive government regulations. 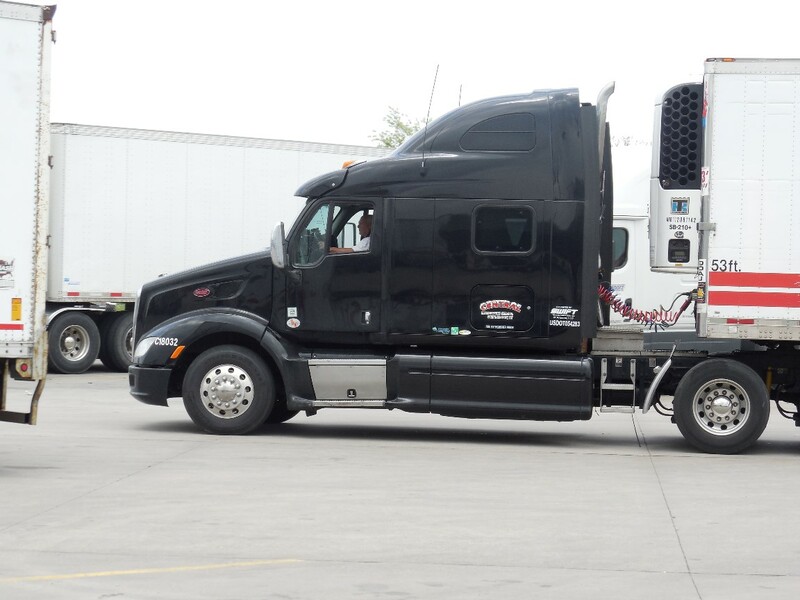 The driver for MK Express of East Butler, PA was fueling at a Petro Truck Stop at Vienna, GA. He hauls primarily produce out of the Southeast and dry freight on the return haul. Bowling says a main complaint with hauling produce are the delays associated with getting loaded. Although this is not as serious a problem working with his current carrier, he notes too often product is still in the fields when arriving at the loading docks. Maintaining proper load temperatures also is cited as being very important. While Bowling loves the independence associated with trucking, he says U.S. Department of Transportation regulations are excessive and challenging. “The DOT is always wanting to put more regulations on you and it just makes it harder,” he states. More specifically, he cites most recent hours of service regulation changes. Bowling says the changes, involving the 14-hour rule may be better for some drivers, but worse for others. He is referring to the 34-hour restart once a week with two sleep times from 1 a.m. to 5 a.m., plus there is the 30-minute rest break following eight hours of driving. “For some guys it would be too much time off, but for others it might help keep them from driving when they are tired,” he says.